A few karting tools are a must and some of just nice to have in the tool box. These tools manufactured by HDM are a must, you never know when you may need to make that unusual adjustment at the track. The Clutch Spring Height tool is used to accurately set the spring heights on your disk style clutch with vertical springs. Once the tool is zeroed out, simply slide the adaptor over the clutch spring until the base rests on the back of the clutch. Make a note of that measurement and then check the remaining springs. Your clutch manufacturer or blue printer can tell you what this height should be for your class. This standard tool fits Hortsman, Tomar, Stingers and most other brands with a screw style adjustment and small diameter springs. 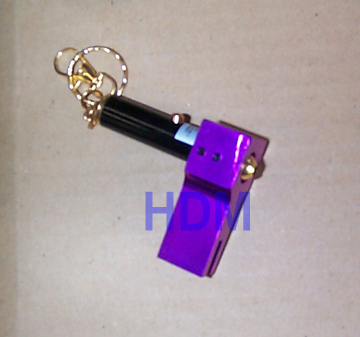 We now offer the our clutch spring tool with an Anodized Purple adaptor at no extra cost. 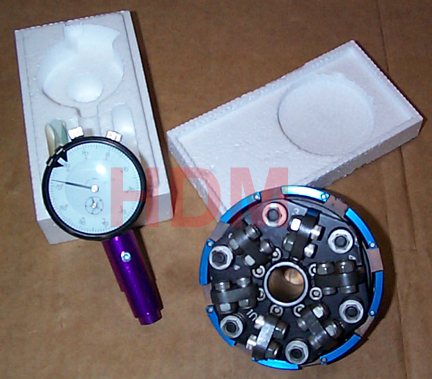 Item Name: HDM Bully Clutch Spring Tool - 1"
The Laser Sprocket Alignment tool is very easy to use. With the chain removed from the clutch driver and rear sprocket, simply slide the alignment tool down over the rear sprocket. Now rotate it until it looks to be pointing at the clutch driver. Push the button to ignite the laser. You can either adjust your motor mount (if it has side-to-side adjustment) or your sprocket hub so that the red dot from the laser hits directly on the clutch driver. The alignment calibration is preset at the factory before shipping. 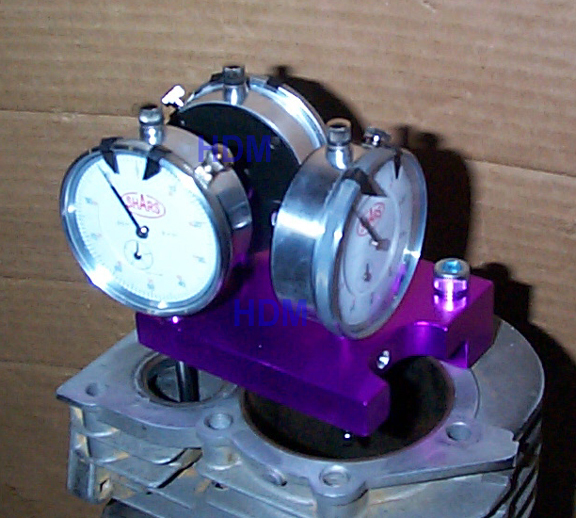 Anytime you need it recalibrated, simply send back to HDM and we will be glad to do recalibration of your tool for free (customer must pay shipping cost both ways). Call or email for Return Good Authorization number. 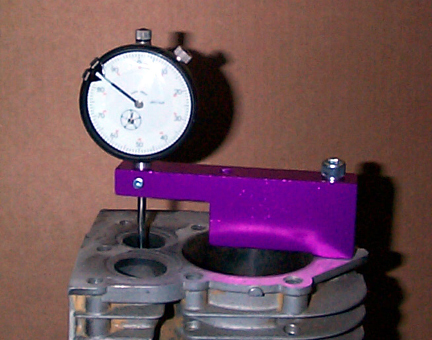 Our sprocket alignment tool is now available with Purple Anodizing at no extra cost. By purchasing the laser alignment tool, the customer assumes all responsibility for the proper use of the laser pointing device. The laser pointing device is not manufactured by HDM. For any questions regarding the use of the laser device the user should contact the manufacturer directly. NEVER point the device into the eyes of any person. HDM nor the laser manufacture will not be held responsible for any injury or illness claimed to have been caused by the use of this device. The HDM Single Indicator block tool is a very useful tool for engine builders. 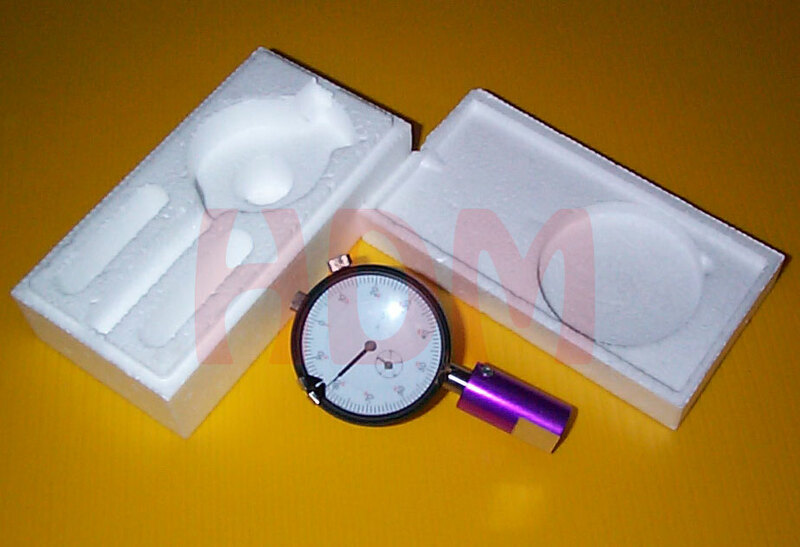 It features a single indicator to measure valve lift. It also has relief for piston popup. This tool is complete with dial indicator, anodized billet aluminum fixture block and mount bolt. The HDM Block tool is very useful for all engine builders. It feature three dial indicators that measure piston pop-up and valve lift on both intake and exhaust simultaneously. This tool comes complete with the dial indicators, anodized billet aluminum indicator fixture, and mounting bolts.